The youth enjoy meeting the doctors who looked like them. Dallas, TX — With the number of African-American men entering medical school on a steady decline, one organization is hoping to inspire more of our youth to pursue careers in medicine. Dr. Dale Okorodudu, an African-American doctor and the founder of Black Men in White Coats, aims to make an impact on the world by helping develop future leaders in medicine. 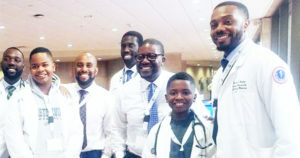 He recently organized a youth summit with a goal to inspire Black boys to pursue the career of becoming a doctor as well. In hopes to do that, Dr. Okorodudu organized the first ever Black Men in White Coats Youth Summit at UT Southwestern. It was attended by hundreds of students from third-grade level to middle and high school. 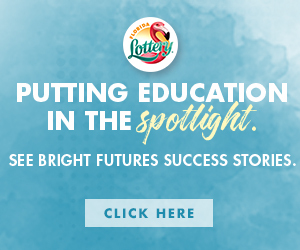 They got to connect with educators, clinicians, and community leaders as well as discovered resources that would help them as they take on the path of becoming doctors. African-American youth who attended the summit got to better understand the science behind the career. They experienced CPR training, demonstrations on how to make a splint, anatomy exploration, among others. Parents, who were required to attend with elementary students, also benefited from the tips on how to help their children on that career path. “I think it’s good to see the representation, to see someone that looks like them who has gone through the career pathway, so that way, they know that it’s very feasible. That it’s very possible for them,” Brittany Drake, one of the parents who attended the summit with her sons, told Fox 4 News. Most importantly, the summit encouraged Black youth that they can be anything they put their mind into. It directly showed them what they can achieve in the future, like becoming a doctor.